Ex-Volkswagen CEO Martin Winterkorn has been charged by U.S. prosecutors with conspiracy and wire fraud in relation to the German automaker’s never-ending Dieselgate scandal, according to an indictment unsealed on Thursday. U.S. prosecutors in Detroit unsealed an indictment on Thursday that names Winterkorn as the ninth person to be charged over Dieselgate. 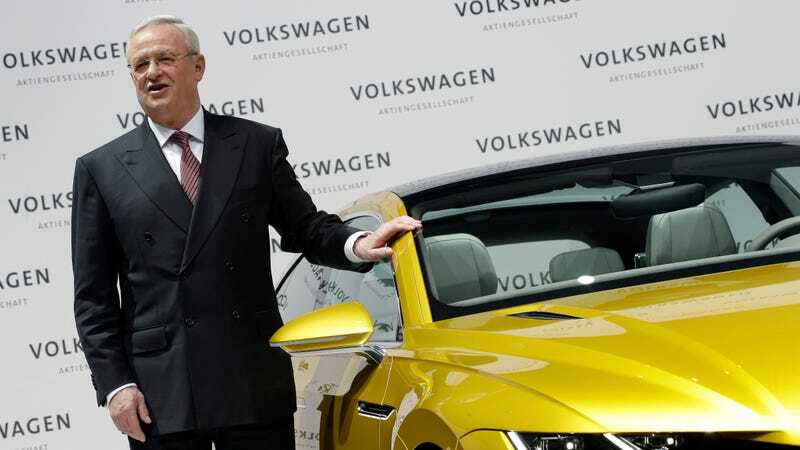 He served as CEO from January 2007 until about September 2015, when the Dieselgate scandal broke open. All employees of VW reported to him. VW admitted in September 2015 that it equipped a defeat device—embedded software that allowed vehicles to recognize when they were being tested in labs—in about 11 million diesel cars. The device effectively reduced emissions to meet acceptable levels but only during testing. VW pled guilty in March 2017 over criminal charges related to the diesel-cheating scandal, and it has paid more than $25 billion in fines to date. Two former engineers, Oliver Schmidt and James Liang, also pleaded guilty to participating in the scandal and are currently serving sentences of 84 and 40 months, respectively. Five additional former VW executives and senior manages have been charged, as has a former Audi manager. The indictment of Winterkorn represents the most significant charges to date. Prosecutors charged Winterkorn with allegedly defrauding the United States, committing wire fraud, and violating the Clean Air Act. Prosecutors allege that Winterkorn was informed of the diesel emissions cheating as early as May 2014, and later in July 2015. “The indictment further alleges that Winterkorn, after having been clearly informed of the emissions cheating, agreed with other senior VW executives to continue to perpetrate the fraud and deceive U.S. regulators,” according to a press release from the prosecutor’s office. “It would not be appropriate to comment on individual cases,” the spokesperson said.